There are many different ways of performing male sterilization as a permanent way of birth control, including open and closed vasectomy procedures and a no-scalpel vasectomy. Procedures may involve burning the ends of the vas and tying of these tubes and the removal of a portion of the vas, with the ultimate aim of preventing sperm entering the ejaculate. These are all established methods of vasectomy. However, these methods do not alter the technique or the success rates that Nikesh Thiruchelvam achieves. How does Nikesh Thiruchelvam perform the vasectomy reversal? As the operation takes 3 hours, you will have a general anaesthetic. It is important that you do not eat or drink for 6 hours before surgery. 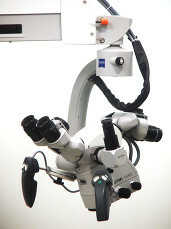 Mr Thiruchelvam uses this microsurgical operating microscope. The testis is brought out of the scrotum via an incision and the damaged ends of the vas are cut back to where the tissue has a good blood supply. The vasal ends are sometimes cannulated or probed with an incredibly fine probe to ensure that the lumen or channel is patent. The vas ends are then sutured together using incredibly fine sutures or stitches (around one quarter of the thickness of a human hair) which are permanent or non-absorbable. Using these type of stitches, which are incredibly fine, Nikesh Thiruchelvam is able to reconnect the small vasal tubes. Using typical reconstructive techniques that he employs regular throughout the urinary tract as a reconstructive urologist, Mr Thiruchelvam ensures that these new joins heal without tension and with a good blood supply. Unlike some surgeons, both sides are operated on with two separate scrotal incisions. 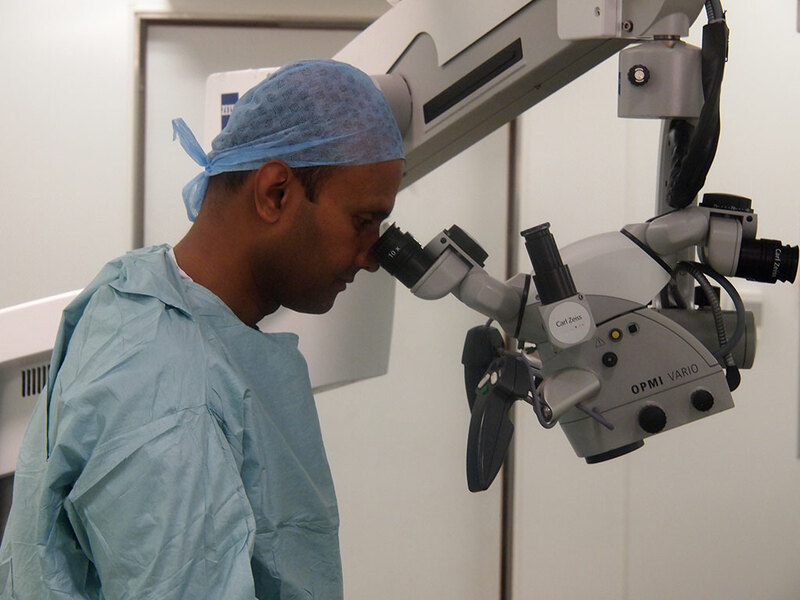 Mr Thiruchelvam undertakes all parts of the surgery himself.